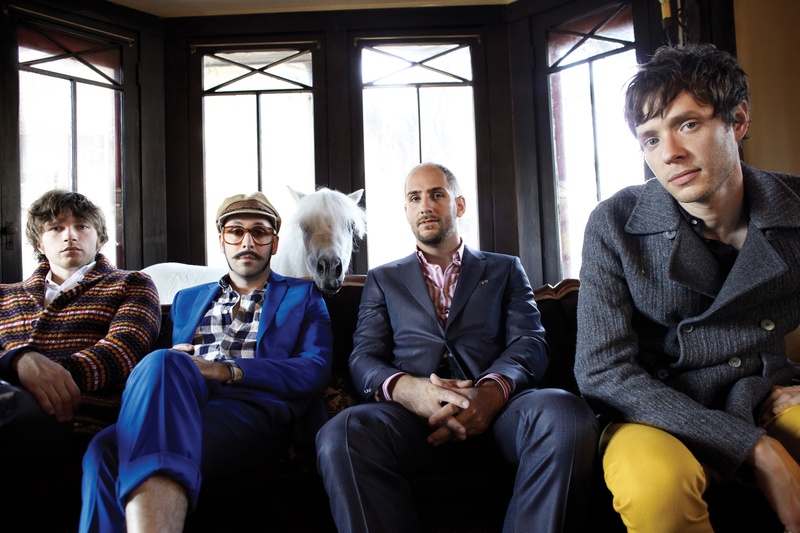 OK Go – Music video Kings ! First thing’s first , i have to get your mind refreshed bout these guys because chances are , you’ve already heard their music or seen the next video. now because i too only saw this video a few years ago and thought hey that’s awesome and forgot bout them , I have to credit wikipedia for the next bit cos i only recently learnt bout the members and what they were really all about. “OK Go is a rock band originally from Chicago, Illinois, USA, now residing in Los Angeles, California, USA. The band is composed of Damian Kulash (lead vocals and guitar), Tim Nordwind (bass guitar and vocals), Dan Konopka (drums and percussion) and Andy Ross (guitar, keyboards and vocals), who joined them in 2005, replacing Andy Duncan. They are perhaps best known for their often elaborate and quirky music videos. Now you are probably wondering what sparked me to post about them nw when they were out such a long time ago , im probably asking myself the same question still because i found them while i was supposed to be working toward a deadline 🙂 nevertheless i did find something fresh from OK Go and it made me wonder what have they been doing all this time, the answer is A WHOLE LOT ! They recently teamed up with the dance troupe Pilobolus for an amazing video to support their song All is not lost . they give us images of an underwater kaleidoscope , little people , a fish tank and maybe a dash of save the world all in 4 minutes. below is just some of the behind the scene photography from their latest video. before i even get to the video that gave a spark to my love for their creative vision and non stop awe-ness (awe-ness * a level of awesome enlightenment that surpasses the need to include all the letters in a word about to be created) i am going to give u a mini 3-part trailer of what we have been missing out if we havent been following their journey. and finally to conclude our lil sum up of OK Go is my best out of all so far just cos it made me wonder how much time and effort went into making this video , according to their website over 18 months and with a staff of almost 100 people , all of whom u will see at the end of the video . 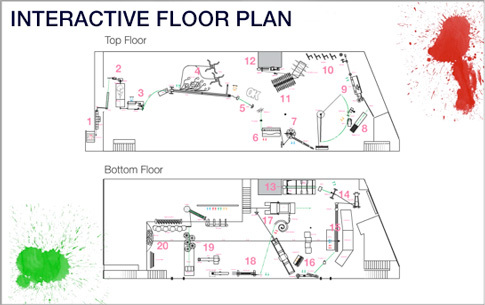 below is the floor plan for the factory in which they shot the video. 29 Jul	This entry was published on July 29, 2011 at 3:14 PM and is filed under Best Videos. Bookmark the permalink. Follow any comments here with the RSS feed for this post.